We’ve read about the importance of Omega 3 fatty acids in nearly every article pertaining to kids nutrition. One of the chief sources of these healthy fatty acids are fish, but it can be quite a challenge to get kids to eat fish! It’s quite likely that your fussy eater turns up his nose at a fried fish or fish curry, no matter how tasty it is. 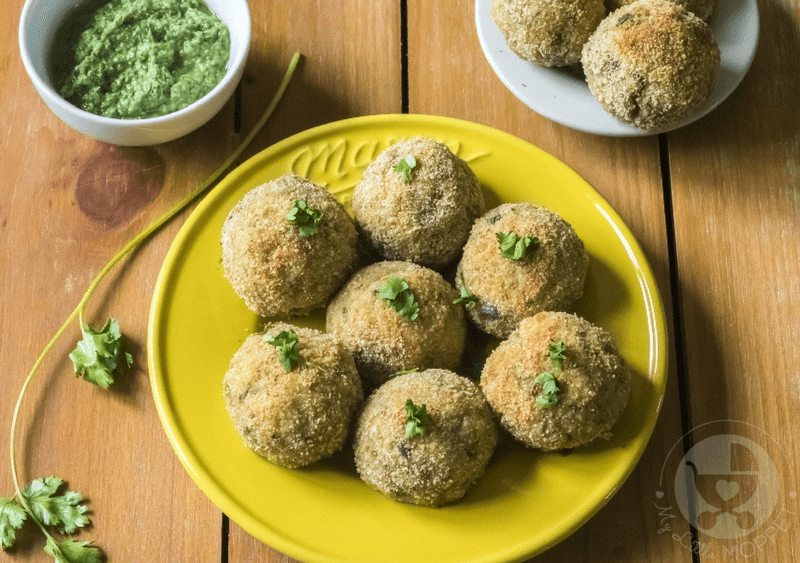 So here’s a fun, kid-friendly recipe to entice them – Baked Fish Balls! 1. In a medium saucepan, combine water, ginger slices, garlic pods, bay leaf, cinnamon stick, cardamom pods and salt and bring to a boil. Lower the heat and add the fish and cubed potatoes. 2. 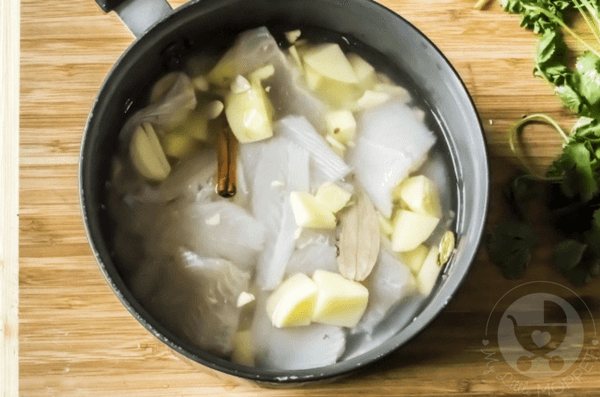 Poach for 5-6 minutes till the potatoes are soft and the fish is cooked through and flakes easily. Drain and let it cool. Discard the ginger slices, cardamom pods, cinnamon stick and the bay leaf. 3. 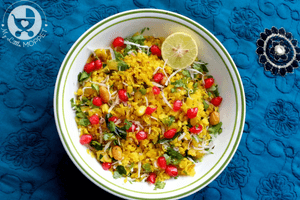 In a large bowl add the poached fish, chopped onions, chopped cilantro, salt, chopped chilies, garam masala and egg. Mix it well. 4. The mixture needs to sit in the refrigerator to firm up. Wrap it with a cling wrap and keep it in the refrigerator for a minimum of 4 hours to overnight. 5. Preheat the oven at 400F/ 200 C. Line a baking tray with aluminum foil and grease it well. 6. Using an ice-cream scoop, roll out 2 inch balls from the chilled potato-fish mixture. 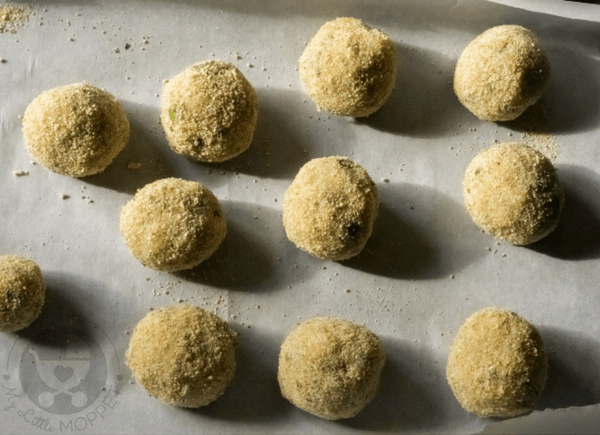 Roll each ball in the bread crumbs to coat completely. 7. Arrange the coated balls on the greased aluminum foil lined baking tray. 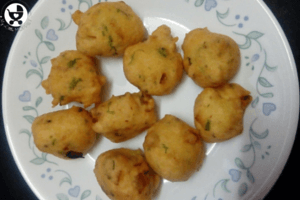 Spray the fish balls lightly with nonstick cooking spray or brush them with oil. 8. Bake for 30 minutes, turning the tray midway for even cooking. 9. 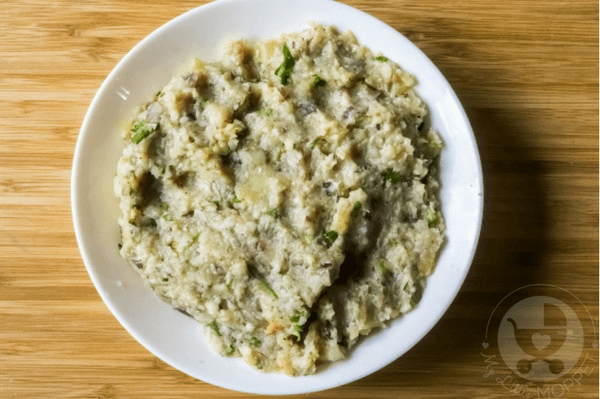 Serve hot with green chutney and a cup of hot tea or coffee. 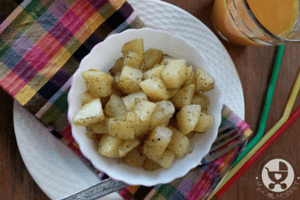 This recipe is baked and not fried, making it a great option for weight watchers too! 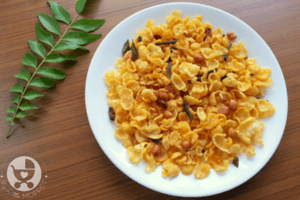 Such snacks are a much better alternative to traditional oily snacks, and it prevents your kids from associating fried food as tasty and everything else as bland. 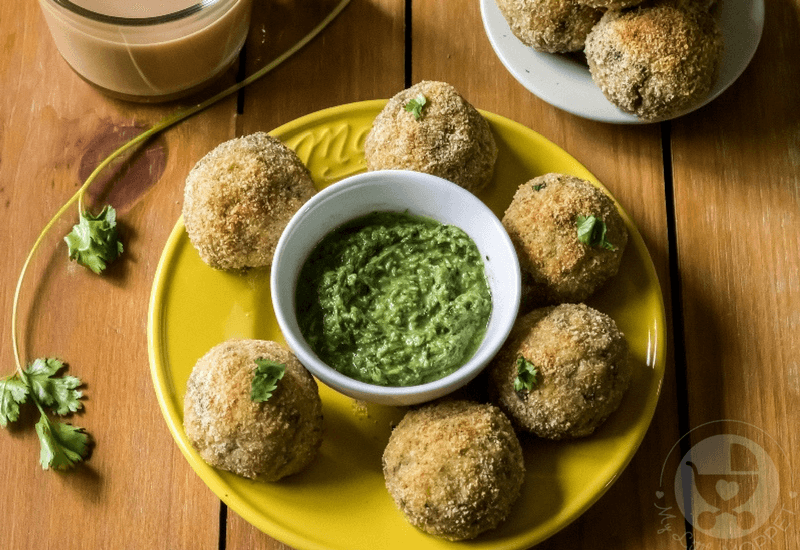 One bite of these luscious baked fish balls and they’ll become seafood fans forever! 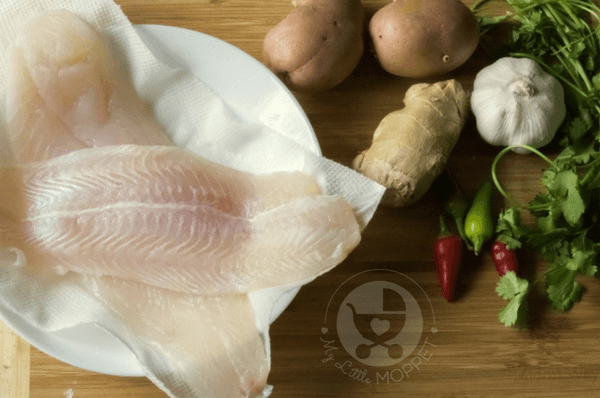 Fish is rich in Omega 3 fatty acids but it can be hard to get kids to eat it! 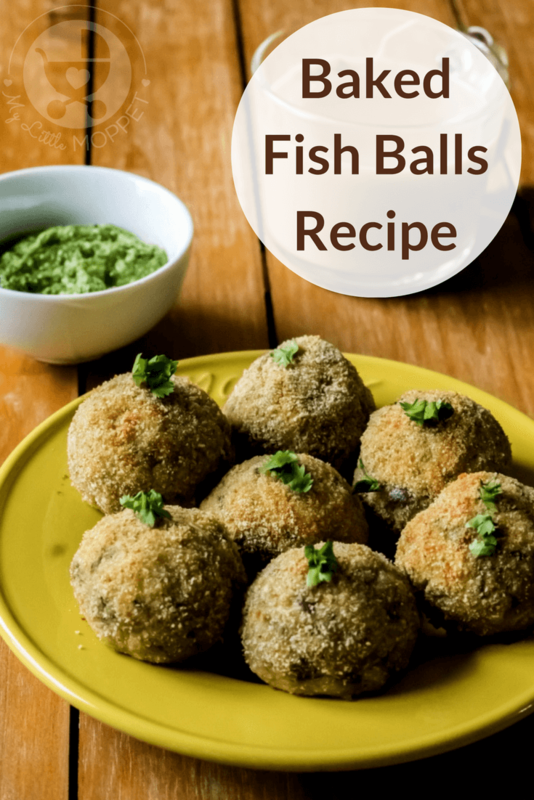 This Baked Fish Balls recipe is perfect for kids and will make them die hard seafood fans! In a medium saucepan, combine water, ginger slices, garlic pods, bay leaf, cinnamon stick, cardamom pods and salt and bring to a boil. Lower the heat and add the fish and cubed potatoes. 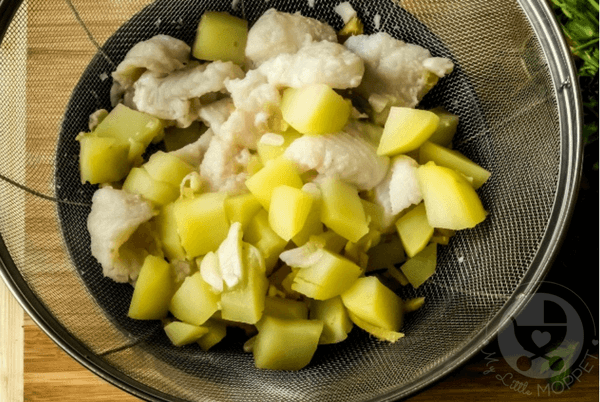 Poach for 5-6 minutes till the potatoes are soft and the fish is cooked through and flakes easily. Drain and let it cool. Discard the ginger slices, cardamom pods, cinnamon stick and the bay leaf. 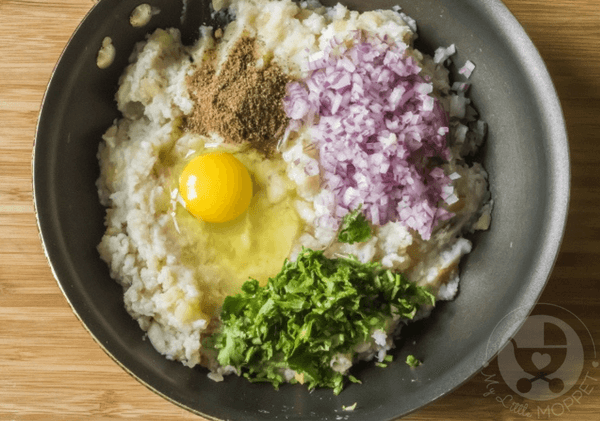 In a large bowl add the poached fish, chopped onions, chopped cilantro, salt, chopped chilies, garam masala and egg. Mix it well. The mixture needs to sit in the refrigerator to firm up. Wrap it with a cling wrap and keep it in the refrigerator for a minimum of 4 hours to overnight. Preheat the oven at 400F/ 200 C. Line a baking tray with aluminum foil and grease it well. 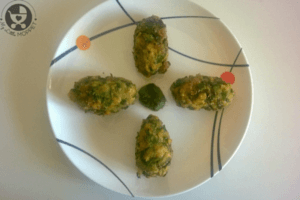 Using an ice-cream scoop, roll out 2 inch balls from the chilled potato-fish mixture. 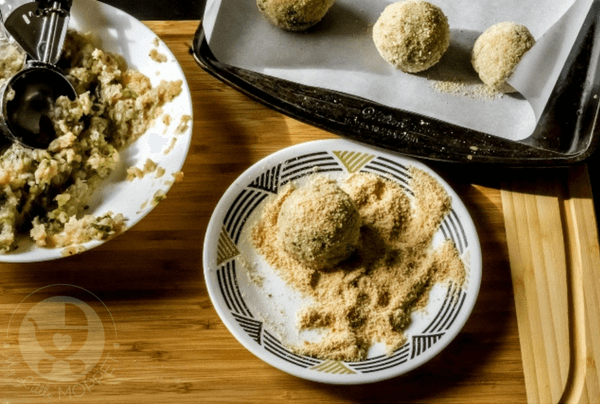 Roll each ball in the bread crumbs to coat completely. 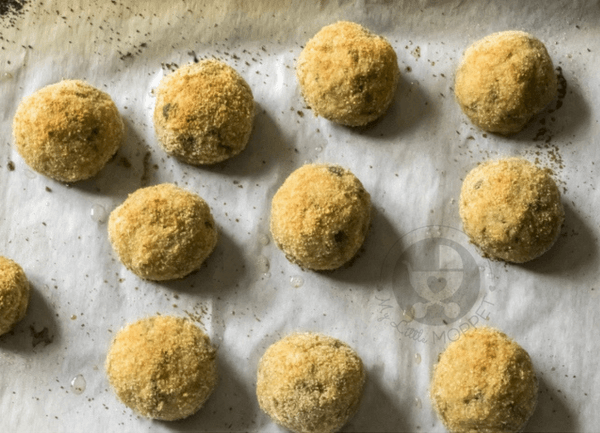 Arrange the coated balls on the greased aluminum foil lined baking tray. Spray the fish balls lightly with nonstick cooking spray or brush them with oil. Bake for 30 minutes, turning the tray midway for even cooking. 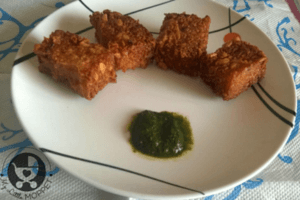 Serve hot with green chutney and a cup of hot tea or coffee. How long can the batter keep in the fridge? One week possible? It can be refrigerated for 3 to 4 days.